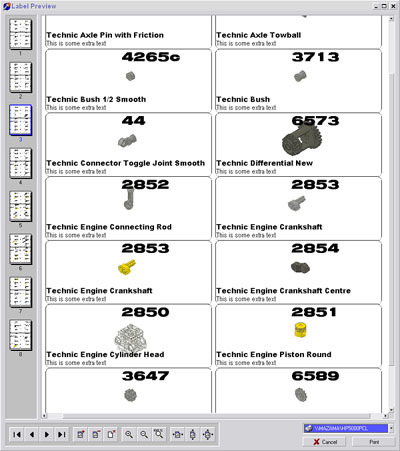 Parts Catalog is a program used to inventory your collection of Lego parts. The main goal is to be able to check 2 list to see which parts are missing. To build your list you could just download certified list of Lego sets and Combine the list. Then add any single parts that may not be from a set. - Compare 2 list to see which parts are missing. - Compare 2 list to see which parts you have. 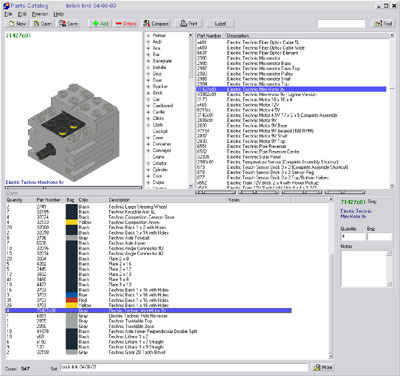 - Make an inventory list from Ldraw dat files. - Open a .htm inventory file saved from the peeron site.